Punta Gorda, Fla. (Oct. 19, 2017) – Thanks to its post-Hurricane Charley construction and building improvements, Punta Gorda Airport served as base not only for Hurricane Irma shelter-seeking residents with special needs, but also for post-storm recovery and research efforts. In pre-storm coordination with Charlotte County, Punta Gorda Airport designated its baggage claim area as a hurricane shelter for approximately 60 evacuated special needs residents. Airport staff, including members of the administration and maintenance teams, remained on-site throughout the hurricane to manage operations. Several FBO employees also stayed at the airport throughout the storm. Once the hurricane passed, Punta Gorda Airport served as a FPL post-storm staging area, with 2,000 service trucks on-site the day after the storm. An additional 2,000 trucks arrived the following day to bolster efforts to restore power to the area. For two weeks after the storm, FPL linemen used airport grounds as a home base for refueling, with tents pitched for sleeping and eating between shifts. Under the leadership of commander Jim Kaletta, Group 5 of the Florida Wing of the Civil Air Patrol undertook a FEMA-directed mission to document post-storm conditions from the skies. Using PGD facilities as base, they took more than 36,000 photos for FEMA. 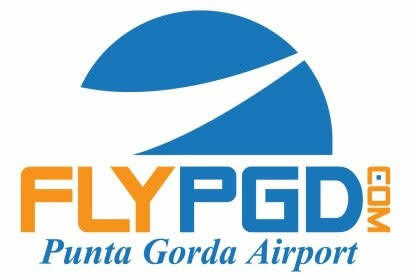 Punta Gorda Airport also waived parking fees for travelers whose plans to return to the airport were affected by the hurricane. Allegiant resumed flight operations on Sept. 13. The Charlotte County Airport Authority, governed by five elected commissioners, owns and operates the Punta Gorda Airport, located at 28000 Airport Road, five minutes east of I-75, Exit 161. The Airport Authority is a nontaxing entity and operates as an enterprise fund, totally supported by revenue generated from its operations, including rental car concession, parking, fuel sales and hangar, building and land leases. In 2016, the Airport Authority was awarded Florida Department of Transportation’s Outstanding Commercial Service Airport of the Year Award in recognition of Punta Gorda Airport’s superior achievement. Punta Gorda Airport provides quick and easy access to Fort Myers, Cape Coral, Sarasota, Naples, Punta Gorda, Englewood and all of Southwest Florida. For more information, visit www.flypgd.com.